Background/Info: Massiv In Mensch has already been active since 1993; but the German electro formation disappeared a bit from the radar during the past few years. This new opus stands for a ‘symbolic’ new beginning and the first album they ever released on Swedish label Katyusha Records. Content: Massiv In Mensch moved a bit towards ‘classical’ electro-pop with a typical German flavor on top. The band has used to familiarize us with trance-driven electro-techno music, but now comes closer to the ‘nintendo’-pop of Welle: Erdball. I guess it’s not really a coincidence if ‘Honey’ (from Welle: Erdball) contributed to one of the songs. 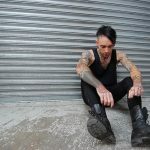 Massiv In Mensch accomplished their work with several ‘guests’ while the second album reveals a festival of remixes by new label mates Trakktor and other artists such as Stefan Poiss (Mind.In.A.Box, Thyx), Kontrast, Ginger Snap5, Tritoxin and a few more less familiar names. + + + : This is probably one of the most versatile productions by Massiv In Mensch. I like their move towards a more ‘classical’ electro-pop sound, which is however strongly inspired by a typical German sound, which will appeal to lovers of Kraftwerk, Welle: Erdball and co. The work features great sound treatments accentuated by cool bleeping sequences and a few alluring choruses. I like most of these songs and especially the ones featuring male- and female vocals. Other cool cuts are the ones with great narrating voices (like the opening track). The second disc is much more than simply an extra disc with remixes. There’s a cool diversity running through the songs and especially the song “Hamburg” appears to be a great source of inspiration for remixes. But my favorite track of the album is the “Altlast-Maschinen-Boss-Mix” of “Aggressive Leader” by Mirco Osterthun… who’s an ex member of the band. 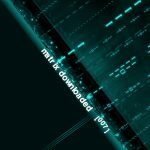 – – – : I get the impression that Massiv In Mensch deliberately moved from their trance-techno music to get back to pure electro-pop. I didn’t have anything against their previous work and even believe it also made their originality. That’s a bit what I’m missing on “Am Port Der Guten Hoffnung”. 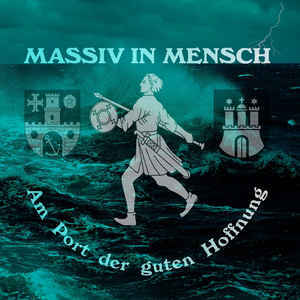 Conclusion: Not sure if “Am Port Der Guten Hoffnung” is announcing a new era for Massiv In Mensch, but it clearly sounds as something different and a kind of rupture with the past. Best songs: “Hamburg”, “Türkis Ist Das Neue Schwarz”, “Port der guten Hoffnung”, “Le-Rav II” + “November – Tritoxin Remake”, “Aggressive Leader – Altlast-Maschinen-Boss-Mix”, “Telespiel Am Timmendorfer Strand – Bonus Track”.